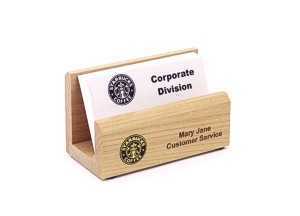 This Maple Card Holder is made from solid Maple and has a smooth, clear finish and can be used on any desk or flat surface. 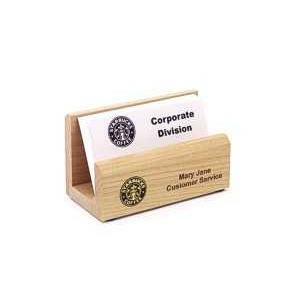 The Maple wood engraves a dark brown color, which provides excellent contrast for text or logos. A perfect gift for all occasions.